While the University of Missouri president resigned this week over racial controversy on campus, SMU has been dealing with similar diversity issues. Since last month, issues of racial diversity at SMU have been raised by various student leaders. These issues included a “racially offensive” fraternity party, and anonymous comments regarding sorority bids for black women on a website called Greek Rank. 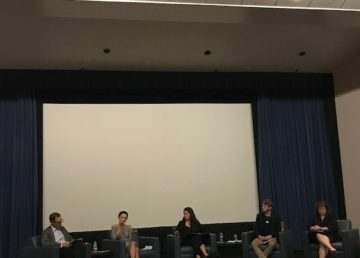 These events led to a community discussion held on campus Nov. 4. SMU administration and Student Senate are working to further diversity on campus. Student Senate has created an Ad Hoc Committee on Inclusion and Diversity. Tuesday, SMU President R. Gerald Turner released a statement discussing further actions the University is taking to increase diversity on campus. Student Body President Carlton Adams proposed the Ad Hoc Committee to Student Senate. “We want to have a frank and formal discussion about these issues and have direct dialogue with all various groups on campus,” Adams said. During Student Senate’s Nov. 10 session, Dedman Law Senator Will Stovall presented legislation to the chamber. The resolution he presented would call on the Office of Admissions to make admitting a more diverse student body its number one priority. Turner stated that the Greek Life Diversity Task Force is gathering information from students, faculty and staff for upcoming recommendations. Students can also submit recommendations for changes to the SMU Student Code of Conduct through Nov. 20. 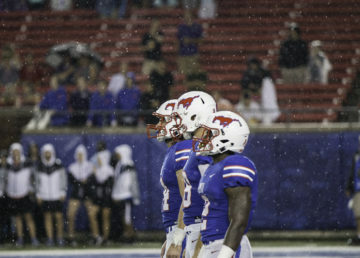 Turner has stated that the SMU President’s Commission on the Status of Racial Minorities is deliberating diversity issues. SMU is also advancing plans to establish an Intercultural Center, which would coordinate the efforts of existing offices and programs to further promote a welcoming campus environment. “We as an institution of higher learning must continue to battle ignorance and intolerance through education and forums that encourage civil discourse,” Turner said.